From its origins, I was certainly around the Philly Geek Awards, organized by a volunteer group surrounding the local culture blog Geekadelphia, run by a handful of my friends. But it was mostly from afar, sometimes speaking and being silly with them. In 2016, as sometimes happens with volunteer efforts, the annual black-tie-meets-cosplay event was thrown into jeopardy, as several of its organizers had moved away in a sudden and similar cycle. It had no one to lead its organization, so I volunteered our team to keep the tradition alive. It was a real risk for our organization and the brand overall, but it felt important to keep the event moving. We pieced it together, with a rushed venue relationship and tricky catering limitations, and though it was far from perfect, we kept the tradition alive. This weekend our Technically Media team, with the support of a volunteer planning committee, brought the event back to what it was meant to be — a highly produced, sold-out celebration of passionate subcommunities with civic pride in spades. My cofounder Brian Kirk and our lead reporter Juliana Reyes joined me on the stage at this second annual Philly Geek Awards to introduce two categories. As last year, it was a special event and a great opportunity to poke a little at our friends and award show organizers Geekadelphia. Watch me do something similar at the inaugural awards last year here. See a full recap of this year’s vent here. … Without realizing it, Chris had finally given me the greatest gift of all… playful competition. I love being able to throw a jab at him now and again via Twitter or on the blog. Mocking him when I see the buzzwords flying… I should list that as an interest on my Facebook profile. I’m thrilled when I hear about a local PR firm thinking Chris and I (aka Technically Philly and Geekadelphia) hate each other. When he gave his keynote speech during the first Philly Tech Week, I ruined his moment with a tweet (this was an accident though!). When he received an award at the Geek Awards, he slammed the hell out of Geekadelphia, and I loved it. But despite the joking around… Chris makes me want to be better at what I do. Below watch video of my Geek Awards presentation when I had a little fun at Geekadelphia’s expense, though their fans let me hear it. 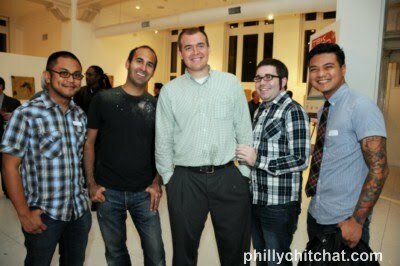 The first ever Philly Geek Awards show, organized by my friends at Geekadelphia, was held last Friday at the Academy of Natural Sciences. As mentioned here in June, I was proudly involved in three nominations. My Technically Philly colleagues Sean Blanda, Brian James Kirk and I were honored to have Philly Tech Week named Philadelphia’s Best Local Annual Event. In accepting the award, we were able to thank the entire technology community for getting involved and remind the nearly 400 people in attendance that Philly Tech Week 2012 is coming the last week of next April, in addition to a fine message from Kirk. Because I so loved the event and because I consider the Geekadelphia crew good buddies, I was awash with thoughts on this year and next. Below, I share some of them. 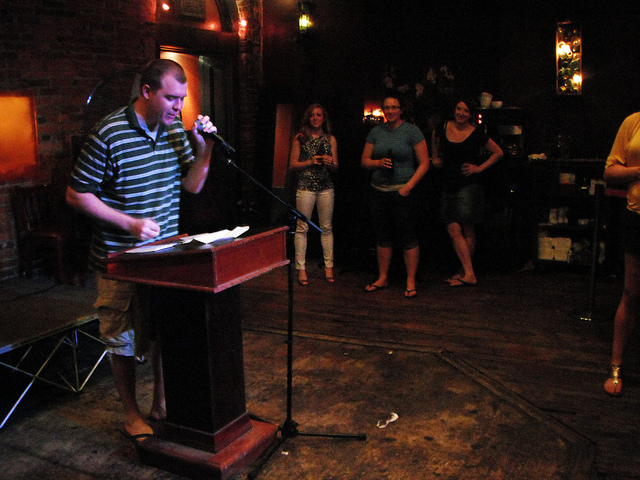 To promote the amusing book Broetry, which is a collection of poems from the “bro” perspective, Geekadelphia and Quirk Books held a Broetry Slam at National Mechanics, a bar in Old City Philadelphia. Attendees were encouraged to come with a broetry of their own to compete for a crown and a swag bag of great books from Quirk. Not only did I participate, yes, I indeed won. I was awarded a cool collection of books by Quirk Books employee Doogie Horner, a comedian whom I wrote about last month. It was something of a spoken word. ..Because of that, I apologize to all people who do wonderful, beautiful, artistic things with spoken word. I am well aware that I may have killed the art form. 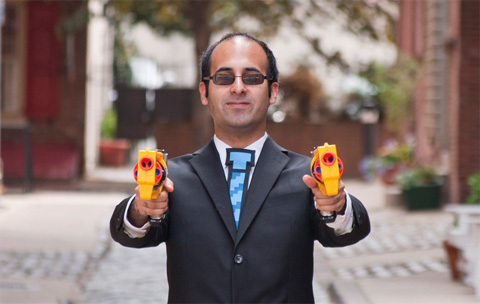 As I shared on Technically Philly today, the team behind Geekadelphia, the playful geek culture blog, has announced the first ever Philly Geek Awards to take place Friday, Aug. 19 at the Academy of Natural Sciences. I am proud to say I have my hand in three of about a dozen or so nominations. Thanks Eric and crew! The Constitution Daily (National Constitution Center, Happy Cog & Technically Media) — That’s part of our work, which is being led by my colleague Sean Blanda. Technically Philly is a media partner of Tek Lado, the Hispanic pop culture mag from Southwest Philly publisher Bartash. Recently the magazine held its kickoff party, and I came to see my former editor Liz Spikol, mingle, eat guacamole and, mostly importantly, end up in a vanity shot from Hugh E. Dillon, Philly’s favorite and, hell, probably only paparazzi. He runs a cool blog called PhillyChitChat following the events he ends up at around town.